Our PA Trailers are unique; they are complete public address systems on wheels. 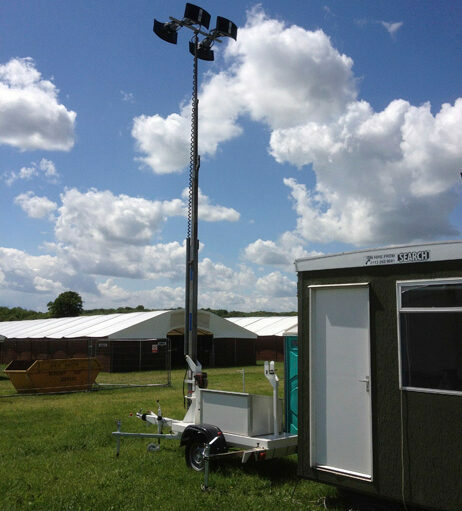 PA Trailer 2 has a 27-foot telescopic mast, onto which are attached 4 horn-type loudspeakers that can be angled to suit the specific location. At the bottom of the mast lies a battery-powered amplifier, a microphone with an extra long lead for announcer mobility, a CD player and iPod/phone input. A wireless hand-held radio microphone can be hired at additional cost. All of this equipment is self-contained in a weatherproof storage compartment.